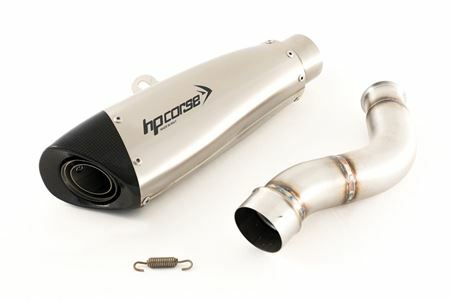 For Triumph Street 765 we offer the best of our production in racing version with removable dbk: Evoxtreme is an exhaust derived from racing, moulded body obtained through a very refined mechanical process, carbon fiber end cap, available in satin or black with slip-on link-pipe on. 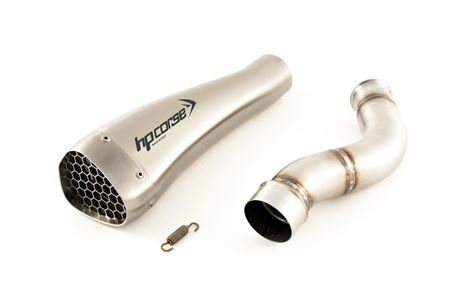 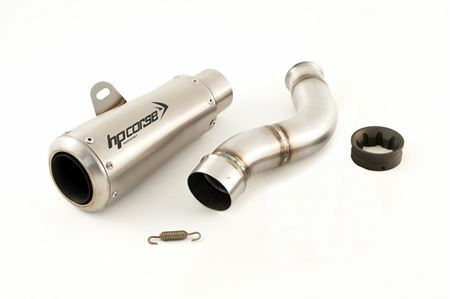 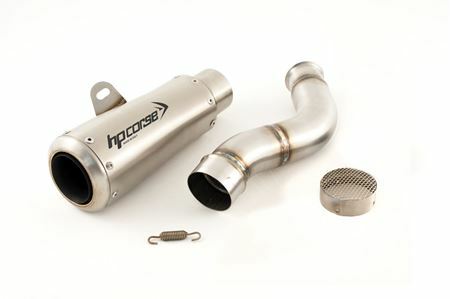 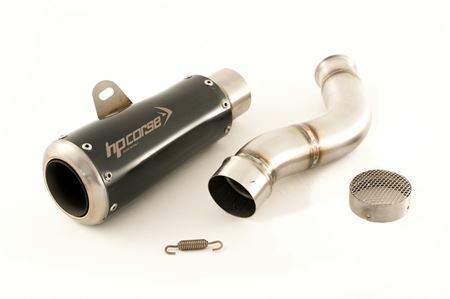 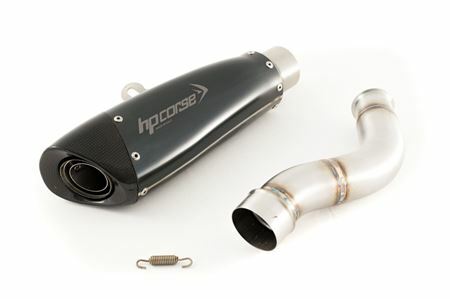 Hydroform/Hidroform Corsa the exhaust icon of HP Corse, which takes its name from the technology used to make it; the hydroforming process. 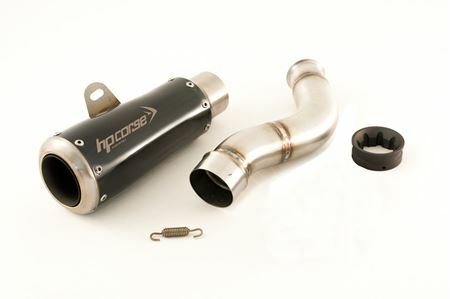 Available in satin and black ceramic versions. 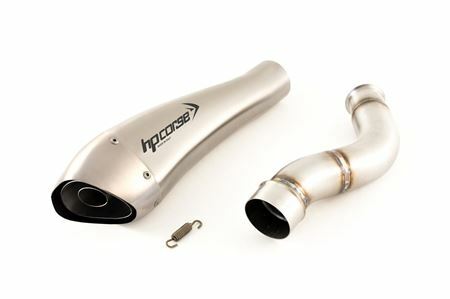 GP-07 is the smallest of the series, short, compact, an aggressive exhaust Moto GP style, with a satin or black surface finish.